Victoria Gold Mines (East Timmins) Ltd.’s Golden Arrow Mine Property is located 10 km south of Matheson, Ontario within the shadow of gold producers such as McEwen Mining and Kirkland Lake Gold who boast operations situated along the prolific Destor-Porcupine Deformation Zone. 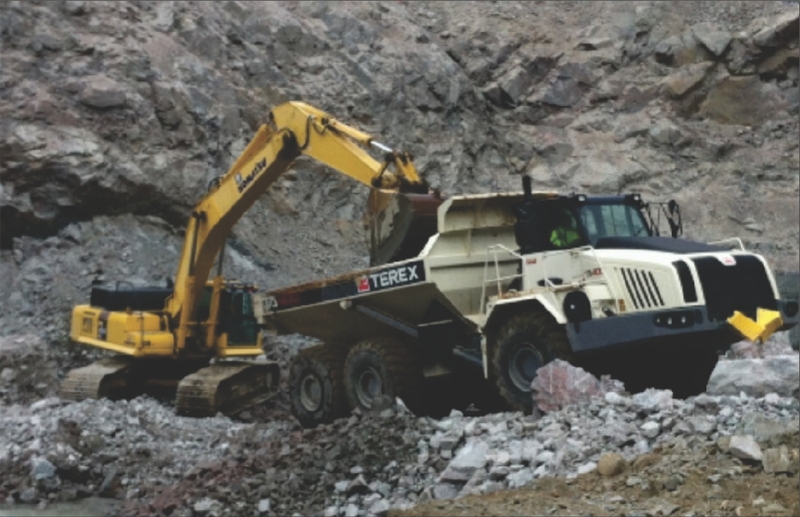 Victoria completed its 100,000 tonne bulk sample advanced exploration program during 2018 (6,780 ounces gold recovered) and has recently secured both a production mining permit and environmental closure plan acceptance from the Ontario Ministry of Energy, Northern Development and Mines enabling the processing of 219,000 tonnes of ore per year moving forward. Victoria’s sizeable Golden Arrow Property is located adjacent to Provincial Highway 11 with excellent infrastructure and a local experienced work force. With the currently targeted Phase II in-ground syenite hosted gold resource of 861,797 tonnes grading 1.8 grams per tonne gold (~50,000 ounces contained gold) presently being prepared for commercial open pit production mining, Victoria could be the next new gold producer in Northeastern Ontario. Victoria’s continued exploration efforts will focus on infill diamond drilling of its Phase III expanded open pit inferred resource of 5,784,268 tonnes grading 1.17 grams per tonne gold (~200,000 ounces contained gold). Victoria’s advanced exploration bulk sample ore material surpassed metallurgical and environmental regulatory guidelines, and local custom milling efforts saw 92% ore recovery. Victoria Gold Mines (East Timmins) Ltd.’s Golden Arrow Mine is Ontario’s only privately-owned permitted gold mine and with a clean road ahead Victoria is positioned to grow during 2019.